The uniquely American spirit made exclusively in the United States, but enjoyed around the world. 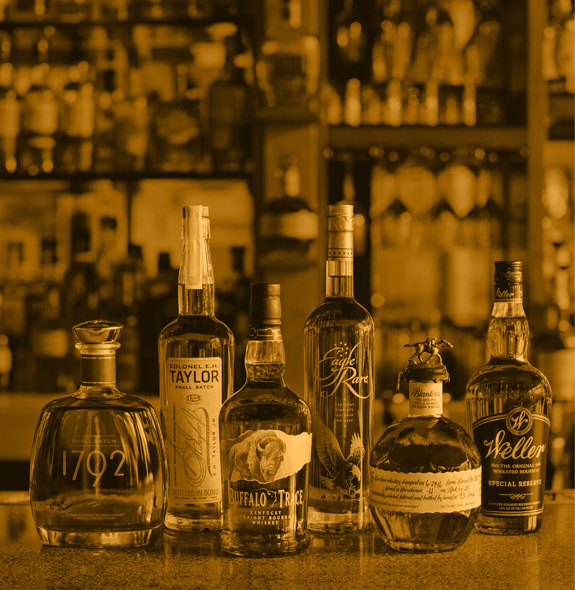 U.S. Federal Regulations require bourbon whiskey to be made from a minimum of 51% corn. Other grains such as rye, wheat and barley malt may be used in any combination. By law, bourbon must be distilled at no higher than 160 proof. Keeping the distillation proof low highlights the flavors of the grains. Vodka and neutral spirits are commonly distilled at 190 proof. Furthermore, all bourbon must be aged in new, charred oak barrels at no more than 125 proof. This new oak imparts rich and complex flavor to bourbon, unmatched by other whiskies aged in previously used barrels. The new oak barrels are vital to create bourbon’s mature taste, since no artificial colorings or flavorings can be added. Only water is added to the bourbon to achieve the proper bottling proof, which must be a minimum of 80 proof by U.S. law. 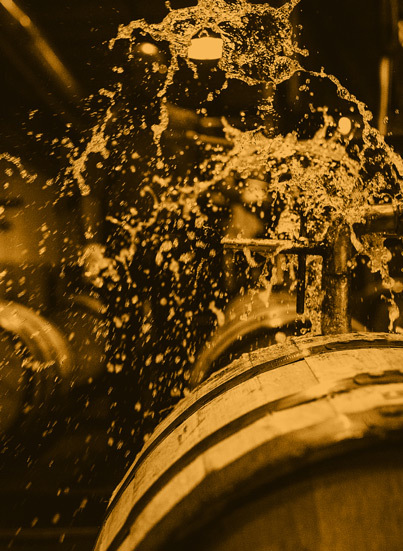 After years of aging, every barrel eventually reaches the proper taste profile at the peak of maturation. 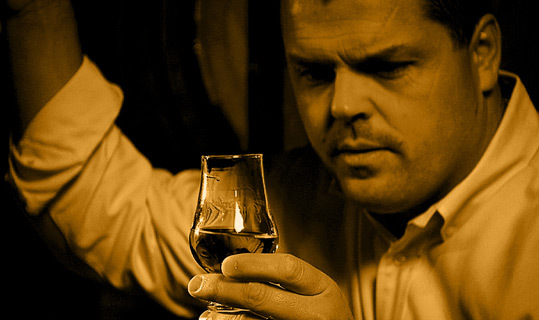 Samples are often drawn from barrels for a master distiller to taste and approve. Only then is each bourbon bottled with the utmost care. Small batch bourbons combine the contents from only a select few barrels. Single barrel bourbons are produced exclusively from individual barrels. Without any doubt, the bourbon of the Buffalo Trace Distillery represents some of the world’s finest whiskey.